It all began with four women and a shared love of Fluevog shoes. The rest is worn feet first. To contact us, feel free to send us an email at: email: fortheloveofvogs@gmail.com. Also, don’t forget to “like” us on Facebook! Gladys lives in the high desert of Los Angeles with her family. Soon after Joanne (a.k.a. The Pusher) showed off her beautiful teal, cream, and red Mini Dollfaces, Gladys became addicted to Fluevogs. She visited the Melrose store and for the first time in her life, trying on shoes actually made her dance … and several years and many pairs later, they still make her dance! Building her collection of Fluevogs — along with learning to sew and craft, clearing out and rebuilding her wardrobe, shifting into an organic kitchen, and paring down on other things that her family owns — has become part of a journey toward a more conscientious exploration of her world outside of books, writing, and teaching. Shirley proudly admits to being rightfully blamed by Joanne for bringing Fluevogs into our closets, hallways, and shoe racks. Shirley has gathered and recruited those who have found another way of life for their feet. As the oldest (and therefore “The Madam”) of the MotleyFlue, she hit the half-century mark in 2013. And yes, she had 50 pairs (and a few more) of Fluevogs when she turned 50 years old. She tallied up 23 pairs when she turned 48 yrs old. While the MotleyFlue’s beginnings may be attributed to Shirley, it was in late 2008 when her friend Kate served as her guide to the Haight Street store, hastily heading to the Haight after a day in cubeopolis. Shirley’s virgin voyage was celebrated with a pair of Fellowships | Kathy and with a pair of Operettas | Malibran the very next day. She would later learn about the phenomenon the MotleyFlue have coined as Fluegasm. And she has not looked back! Meanwhile, as “The Madam” of the MotleyFlue, Shirley also calls herself the Anthrocubeologist – passionate about discovering how peer-to-peer interactions can affect workspace cultural shifts. Sure she holds a degree in chemical engineering, but who says the left brain can’t meet the right brain?! 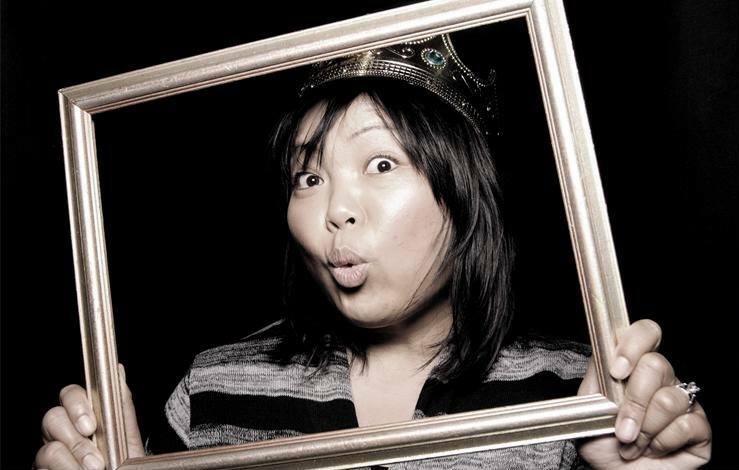 As a workspace explorer, storyteller, catalyst, improv performer, randomness connector, and servant leader, Shirley often wonders – can the workplace become a playspace simply one Fluevog pair at a time? Join her as the cubevologist, smiling at her Fluevog-donned feet while making others smile. Joanne is affectionately called “Generalissima” because like any good leader, she has no problem laying down the hard line – no matter how much the truth hurts. Sometimes this means urging the MotleyFlue to update their Fluevog FB albums or helping the gals organize a responsible Flue-nancial plan. She likes to think that “generalissima” is the combination of “generala” and “belissima.” Translated, they mean “beautiful general.” With that, she fancies herself to lead her friends to lovely things. 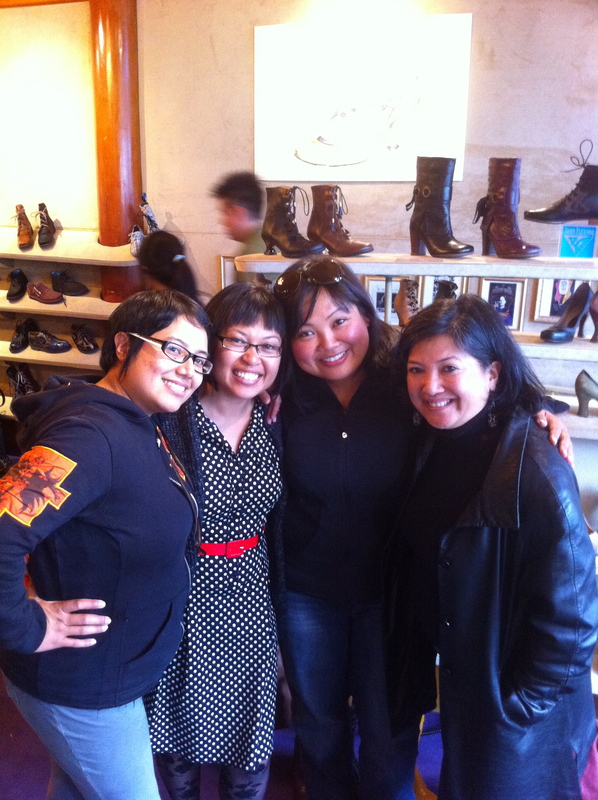 At the same time, the other ladies swear that Joanne is also the ultimate Fluevog “Pusher”! She’s the first to share any new Flue-news and doesn’t bat an eyelash when she spots a shoe and convincingly tells the gal pals: “You’re getting this shoe.” In addition, she’s notorious for recruiting new Flueddicts (for both noble and evil reasons). Joanne blames Madam Shirley for her love of vogs because she’s the one who started it all. After stalking the site for about a year, Joanne finally mustered up the courage to visit the Haight Street store for her first Fluevog experience. Her life has never been the same since. To support her footwear habit, Joanne is an educator, scholar, and writer (not necessarily in that order). At times, she can be found selling skincare, or working as a makeup artist at a local mall or a loved one’s wedding. 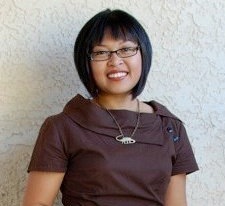 Originally from the island of Guam, she calls the San Francisco bay area her other home. 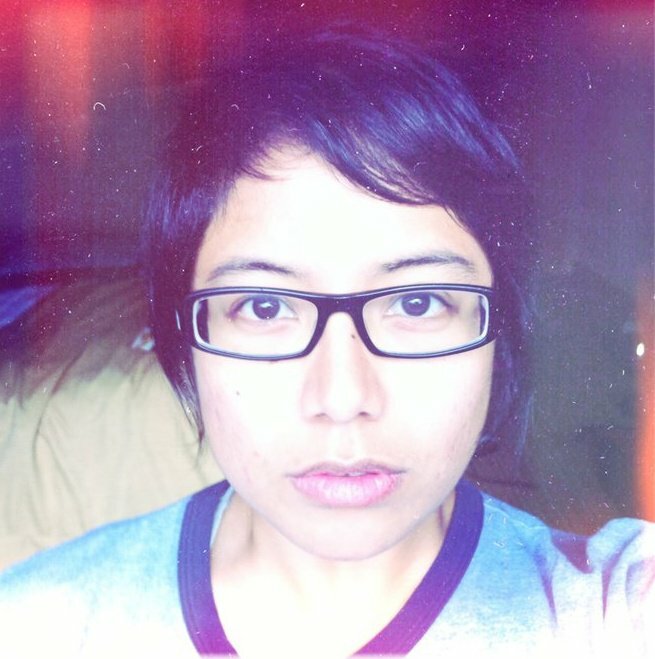 Dorothy is an art writer, blogger, curator, photojournalist, and grad student. She loves all kinds of art (from traditional to performance to new media works). Dorothy is a native San Franciscan, so it takes A LOT to surprise and offend her. 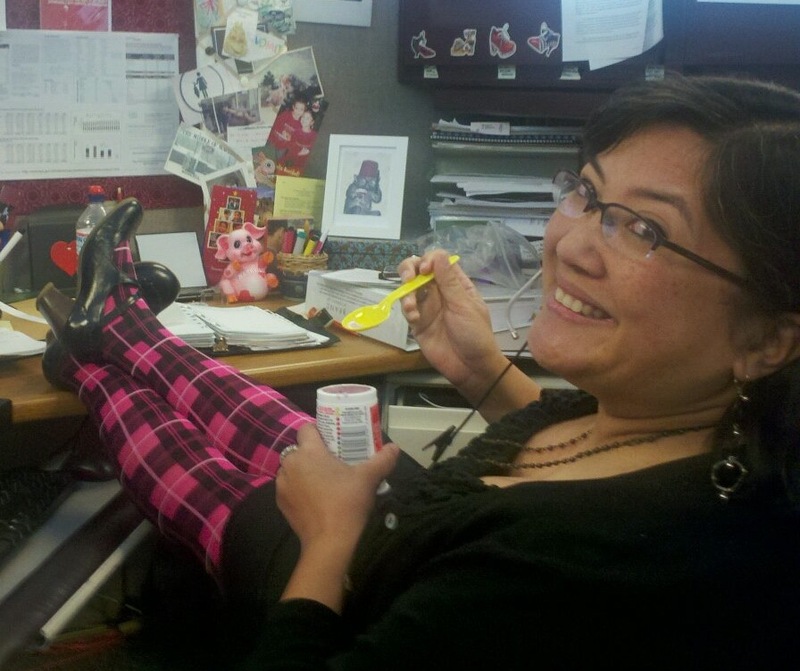 By day, she works a 9-5 corporate job, so ONLY the most comfortable Fluevogs will do. BUT being the baby of the bunch, she says she doesn’t own very many Vogs ONLY because it takes A LOT for her to commit to a pair. She’s still not sure what that says about her, but she claims that it’s very difficult to sway her (unless, of course, she’s with j-ro). Fun fact: While in college, Dorothy sold shoes on Haight Street at ShoeBiz AND loved Fluvogs THEN but could never afford them until she started working!! On style: Masculine. Feminine. Whatever. I’m not, what the cool kids say, “heteronormative“. So, much of my style depends on my mood. Sometimes, I feel like wearing my CBCs. Sometimes, I enjoy wearing my Dawns and showing off my bare calves. On the rare occasion, I like prancing around in my Vibes (at home, naturally) 😉 But, overall, my style is all over the place, which is another reason why I’m so damn picky, I guess. 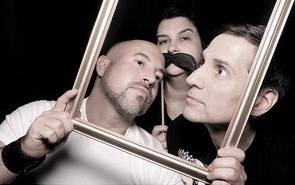 “The Dealers”: Every Flue-ddict has her/his favorite dealer(s). They are the lovely people who greet us at the stores and shower us with boxes filled with deliciously gorgeous pieces of art-wear to try on. They are they Flue-mamas and the Flue-daddies that give us our Vog-fix. They are the kind people who walk us through our layaway plans. They are the beautiful individuals who grace us with sound advice when debating between the Minis, the Radios, the Miracles, and the Operettas. Though our wallets are empty, our hearts are filled with the sheer beauty of a new pair (or two) of Fluevogs. For that, we love our dealers. OMG, I love you all. Thank you, Facebook!